The essays in this volume range from questions of cultural self-representation in China to more general problems of reconceptualizing global relationships in response to contemporary changes. Although the new era of global capitalism calls for the remapping of global relations, such remapping must be informed both by a grasp of contemporary structures of economic, political, and cultural power and by memories of earlier radical visions of society. Without these two conditions, Arif Dirlik argues, the current preoccupation with Eurocentrism, ethnic diversity, and multiculturalism distract from issues of power that dominate global relations and that find expression in murderous ethnic conflicts.In lieu of multiculturalism, Dirlik offers ?multi-historicalism,? which presupposes a historically grounded conception of cultural difference, seeks in different histories alternative visions of human society, and stresses divergent historical trajectories against a future colonized presently by an ideology of capital. 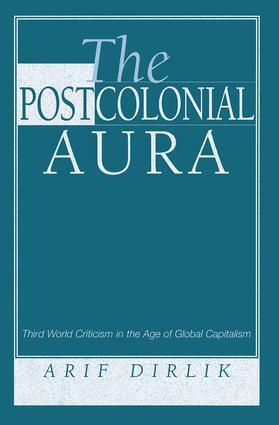 Arguing that the operations of capital have brought the question of the local to the fore, he points to ?indigenism? as a source of paradigms of social relations and relationships to nature, to challenge the voracious developmentalism that undermines local welfare globally.